I’m so grateful to many people who made my dream come true! 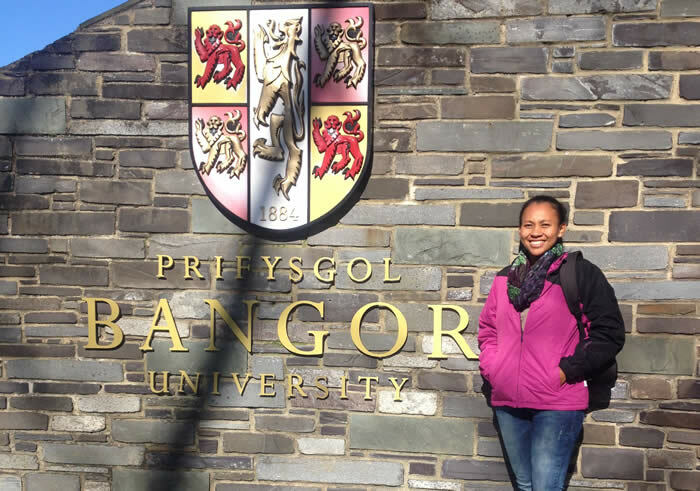 p4ges researcher, Alexandra Rasoamanana, recently visited the UK on a SCCS (Student Conference on Conservation Science) bursary. Here she explains why it was such a fantastic and enriching trip. There were two parts to my trip to the UK - the conference in Cambridge and the opportunity to work with the p4ges research team in Bangor. There are so many things that I want to share in order to show how valuable this experience was for me. Madagascar is still struggling to find the best way to link biodiversity conservation and sustainable development, so learning from others’ experiences and the keynote speakers at SCCS was incredible. It introduced me to research and conservation practices across the world and allowed me to think about Madagascar’s context. 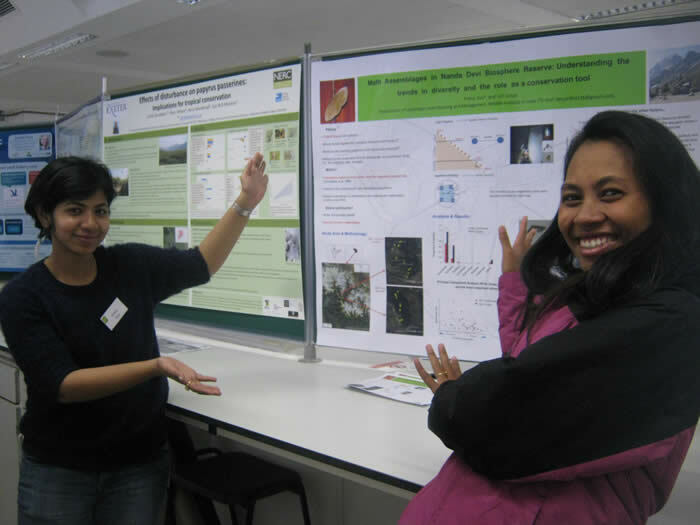 SCCS was a space where different sciences interact to give more sense on why conservation is a priority nowadays. I made valuable contact with many researchers and student, which I hope to benefit from in my future career. I want to highlight a particularly amazing contact I made. While at the conference, I was invited, among others from the p4ges team, to participate in a diplomatic meeting led by the Madagascar’s Minister of Environment - the Honourable Ralava Reboarimisa. 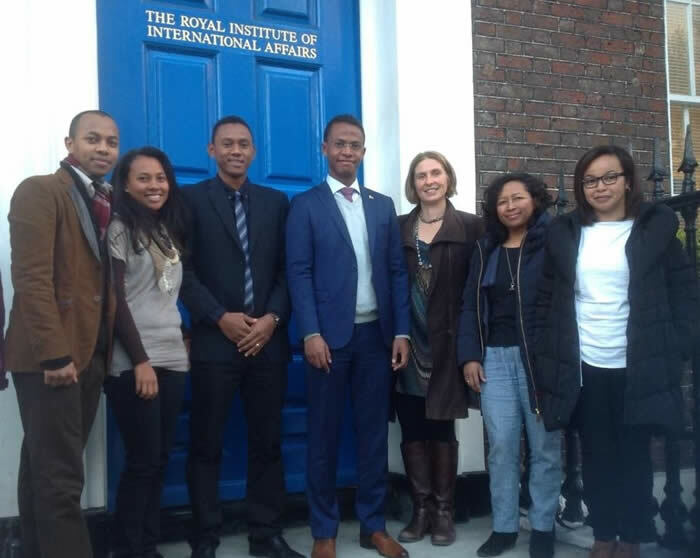 This took place in London where he presented and negotiated a funding and international support for Madagascar’s efforts to improve management of our natural resources (especially rosewood) at Chatham House. To be part of the select audience for this round table event was really an honour. We were invited by the minister to exchange our ideas on the issues about natural resources management in Madagascar and the actions that should be done to tackle them. The aim of my internship was to acquire fundamental skills on data management and data analysis in socio-economic research. These skills must be shared with students in my university because I really saw how valuable they are. After attending a short course on GIS in Cambridge University, I used all that I have learnt to make different analyses on GIS using QGIS software. In the p4ges project I make different maps which represent our study sites and their ecological and socio-economic characteristics. With the skills I learned, I can make an accurate map and and work better with all the GIS data that we collected in the field. This will be shared in lectures back in Madagascar. This is a very important next step of our analysis in our project, which tries to understand the opportunity cost of restricting slash and burn agriculture, the main factor of deforestation in Madagascar. I attended a training on data management, especially on how to extract variables from the questionnaire used in the field work and how to deal with the data format for statistical analysis. It allowed me to acquire the process of data management after data collection in the field. I will present on this topic in the research methods module at the University. During the internship I had an introduction into using R in statistical analysis. This allowed me to evaluate myself as a researcher based on my current knowledge of data analysis. My conclusion was that I really need to improve my knowledge on statistical analysis, so the next step was to get books to help me. The research took an important place during my internship. I noticed that it was easy to find publications in the UK, and I was really surprised that there was so much research done in Madagascar, which I had not found in our own university library. 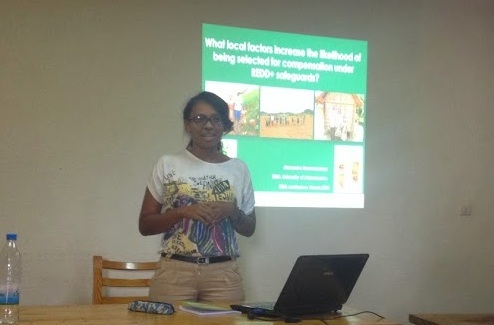 It was fascinating for me to see how they analyzed the issue of conservation management in Madagascar. Sharing these publications will help students in my university be aware of what has been happening in conservation management across the world and in Madagascar. I gave my presentation at a conservation group session. This was helpful because the audience gave me feedback. I also had the chance to attend different talks during this internship in which I increased my knowledge about conservation practices across the world. To summarize, I have acquired useful skills that I can use to work on data from my last thesis and in the p4ges project. Skills such as data management and analysis, critical reading and writing up reports and scientific articles are really useful to become a good researcher and to be more confident in doing research. This experience allowed me to evaluate myself as a researcher and to guide me for the next step of my career. I’m so grateful to the many people who made my dream come true.